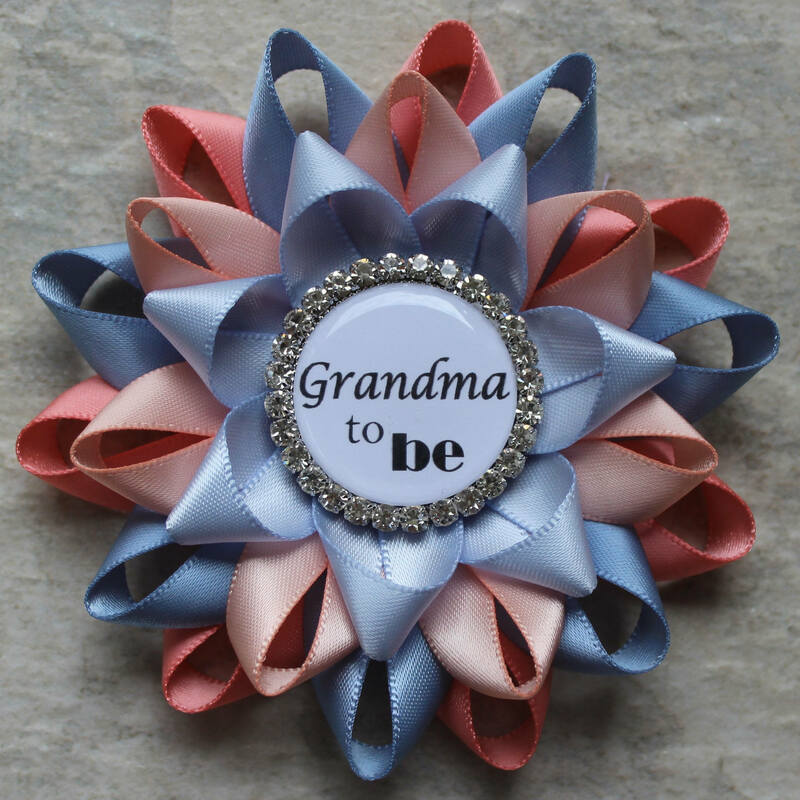 Planning a pregnancy reveal or baby shower? 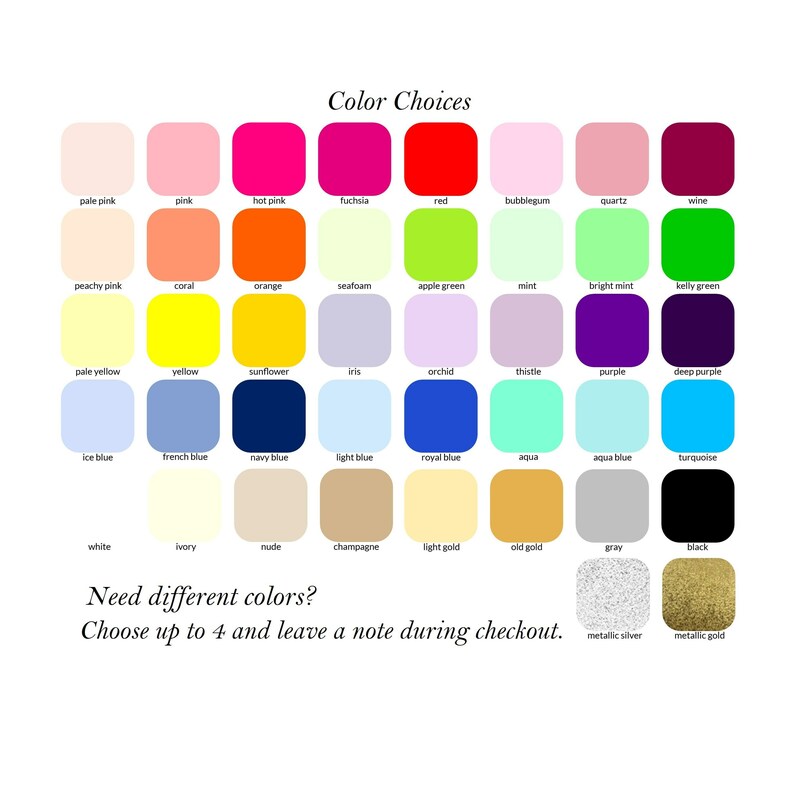 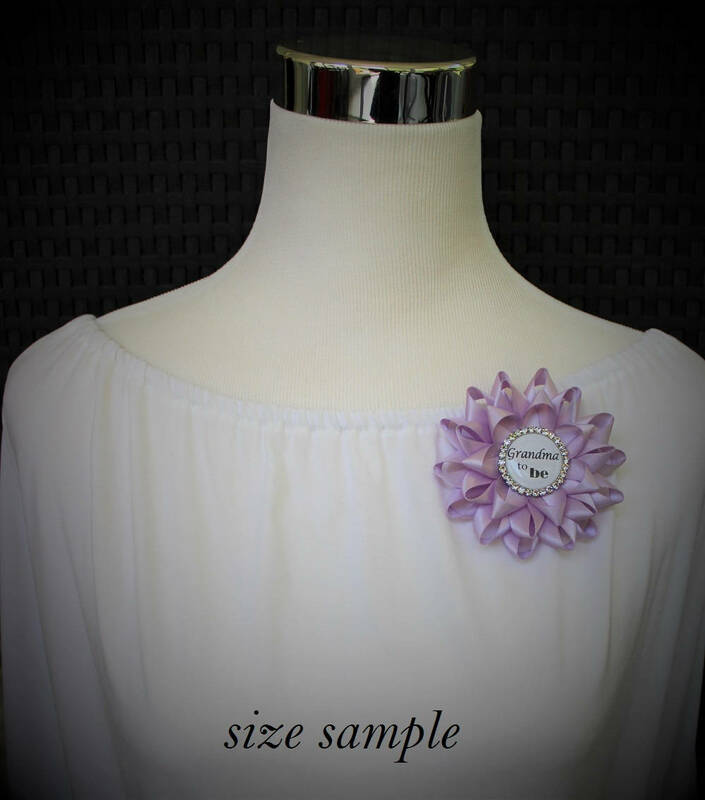 Give your guests of honor this pretty corsage pin to wear! 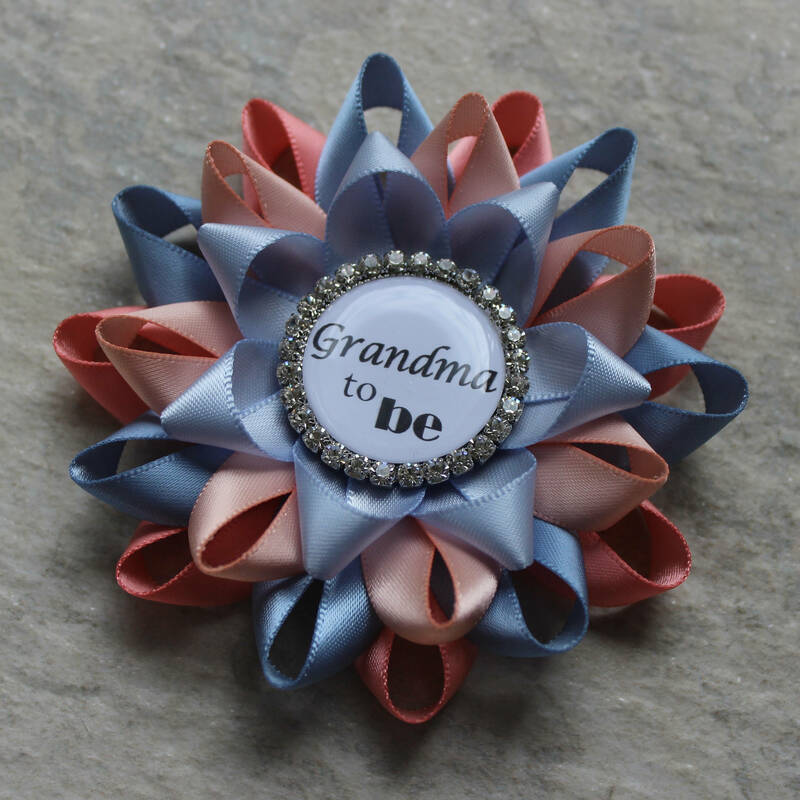 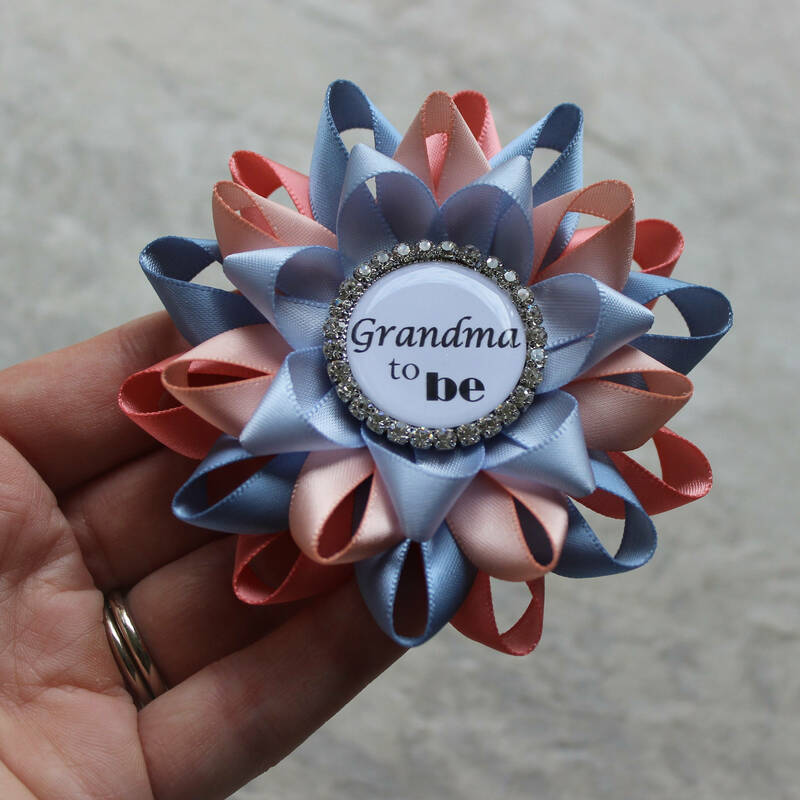 Each flower is handmade from satin ribbon in French Blue, Coral, Peachy Pink and Ice Blue with a bar pin attached. 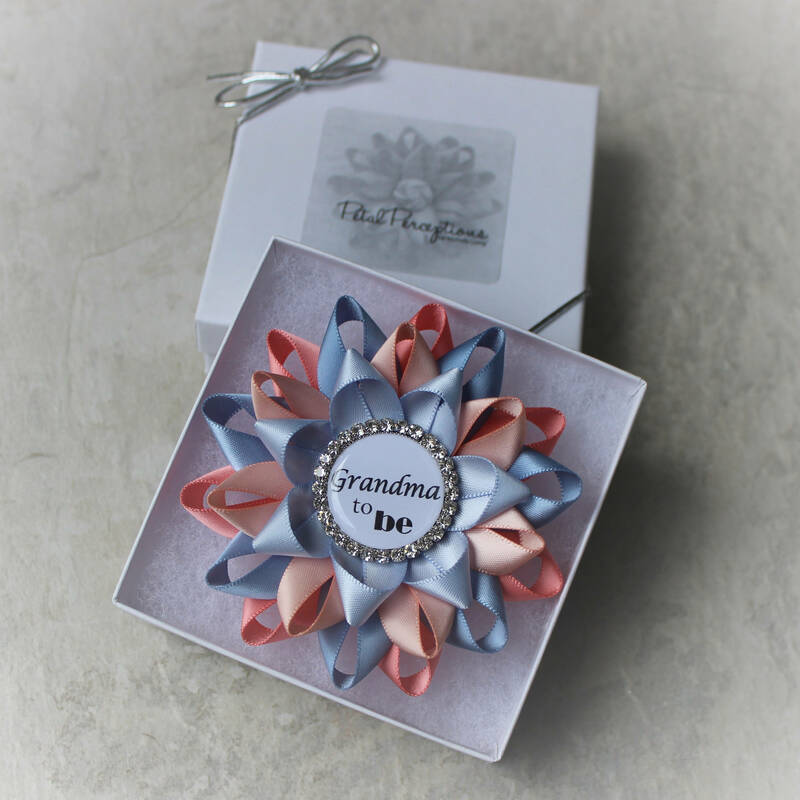 The flower is 3 1/2" inches wide and comes packaged in a gift box with outer bow.